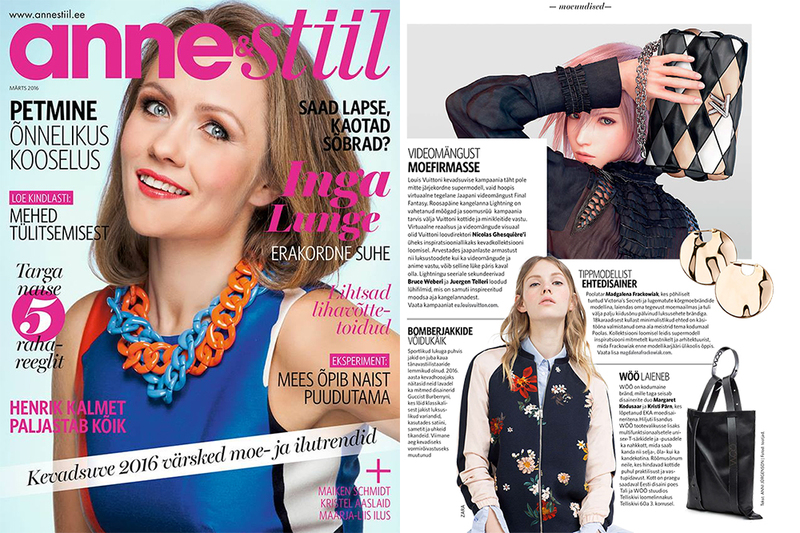 Curated the fashion news in Anne&Stiil March issue - Lighting from Final Fantasy video game in Louis Vuitton (I once had a job in Tokyo where their hair reference was from Lighting so I had to wear a blue/pink-ish short wig, they are really into this game here! ), bomber jackets (yes! I became obsessed with these mostly because of the souvenir jackets in Japan that are also in bomber-style), gorgeous jewelry by Polish supermodel Madgalena Frackowiak and last but not least the new leather backpack from WÖÖ of which proud owner I am.